Clean Slate Press is a New Zealand based educational publisher that has just launched a new picture book imprint. 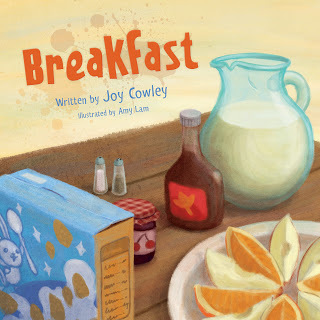 Their first book, Wishy Washy World by Joy Cowley, is a collection of eight stories featuring Mr and Mrs Wishy Washy and the animals on their farm. 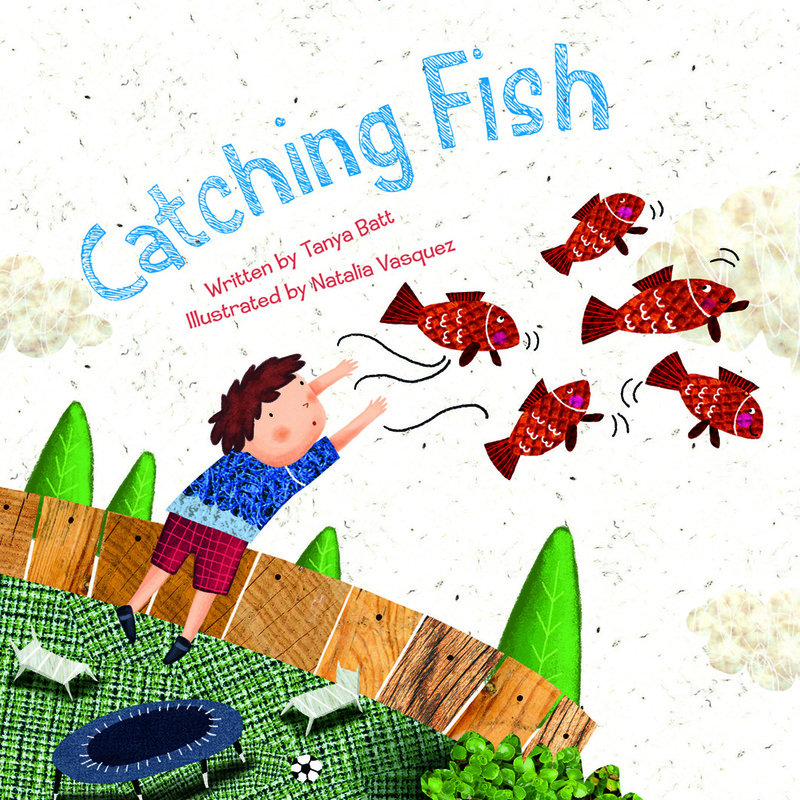 Clean Slate Press have just launched two new picture books, Catching Fish and My Dad’s a Dragon Catcher, both written by Tanya Batt. Catching Fish is about Jake, who wears his favourite shirt all the time. It’s his favourite because it has five red fish on it that swim along the bottom edge. It gets so dirty that he has to wash it, but when he wears it next all the fish have gone. Jake and his mum look everywhere for the fish, but they can’t find them, until they look up in the sky and see them swimming through the air. How will Jake get the five fish back on his shirt? Catching Fish is a delightful, funny story that begs children to join in. They can make the sounds of the clothes in the washing machine and on the line, help Jake go fishing and jump up to try and catch the fish from the sky. I really like Natalia Vasquez’ quirky, collage-style illustrations. It’s interesting to see all the different materials and photos that she has used to create the illustrations (the wooden fence is photographs of wood and the sun is a photo of pasta). 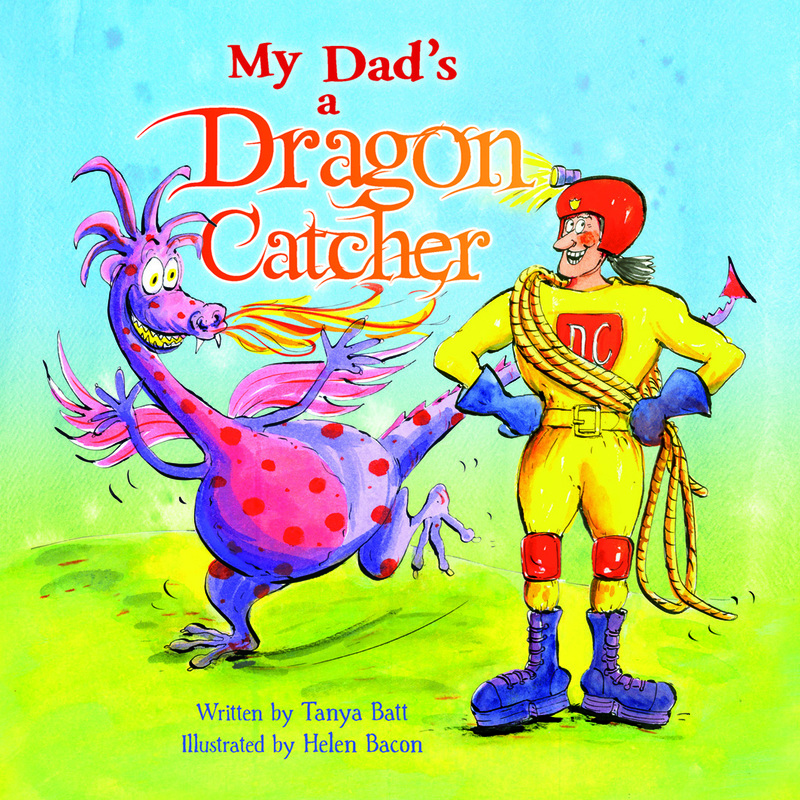 My Dad’s a Dragon Catcher is about Toby and the job that he makes up for his dad. When Toby and his friends are sitting around eating their lunch they talk about what their dads do for a job. Toby says that his dad is a Dragon Catcher because that sounds exciting. When his teacher invites their dads along for Father’s Day at school, Toby has to figure out what to do. His dad isn’t really a Dragon Catcher but maybe he can pretend. Boys especially will love this story, with its dragons, red truck with fireproof wheels, and the fire-proof undies. Helen Bacon’s fiery illustrations will really appeal to children. Her dragons all look quite silly and harmless, even when they’re breathing fire. It’s a great book for dads to share with their children, especially if they’re ready for a longer story. The thing I like most about these two great picture books is their production. The hardbacks look wonderful and they have beautiful endpapers with dragons and fish on them. Catching Fish and My Dad’s a Dragon Catcher are available now from a Whitcoulls near you.